BASSETERRE, St. Kitts – The commemorative week of activities being held in recognition of the Team Unity administration’s third anniversary has been extended by another day to include an important signing ceremony between the respective parties comprising the syndicate arrangement financing the construction of the second cruise pier at Port Zante. The extended week of activities, which was scheduled to conclude Sunday with a church service at the Calvary Baptist Tabernacle at Romney Ground, Sandy Point and the SMILE AGAIN Gospel Concert at Greenlands, now includes the signing ceremony Monday at the Arrival’s Hall at Port Zante at 4 p.m. 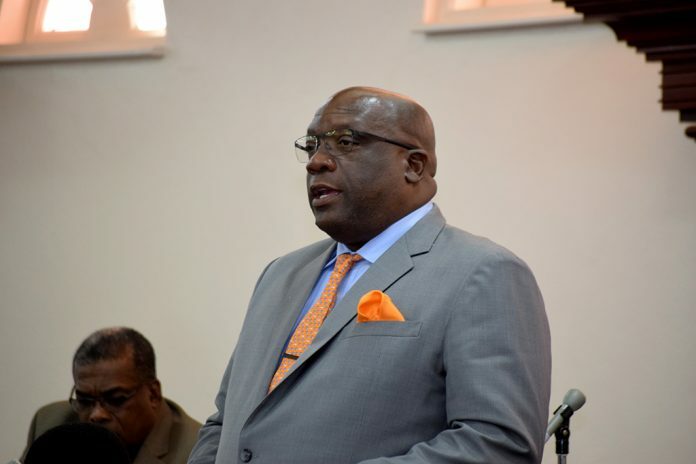 Speaking during the Feb. 21 sitting of the National Assembly, Prime Minister the Honourable Dr. Timothy Harris said this decision to include the signing ceremony to the week of activities was made at the Cabinet meeting held in Nevis Feb. 19. The four financial players involved are the St. Kitts-Nevis-Anguilla National Bank (SKNANB), which has committed US$34 million; the St. Kitts and Nevis Social Security Board, which has pledged US$7 million; the St. Kitts and Nevis Sugar Industry Diversification Foundation (SIDF), with US$5 million, and the St. Kitts and Nevis Trading and Development Company (TDC), which has committed another US$2 million. Harris further stated that the US$48 million second cruise pier is expected to boost commercial life in Basseterre and create jobs for hundreds of Kittitians and Nevisians during its construction phase. The mobilization of the construction phase is scheduled to commence in March 2018. The construction of the pier is expected to be completed within 18 months in time for the 2019 cruise season.